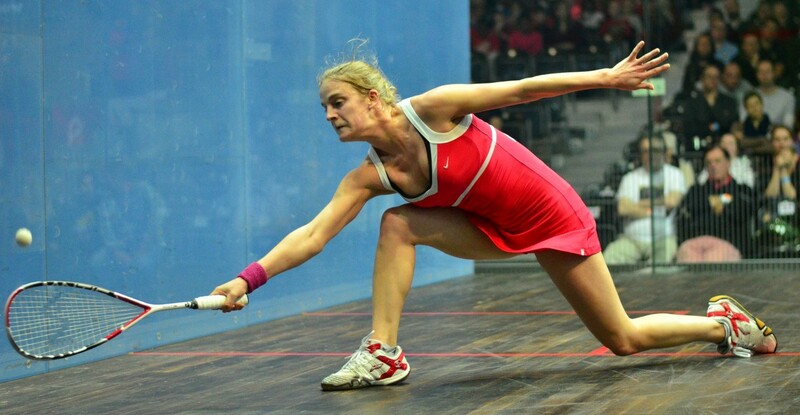 Emma Beddoes, the former world no.11, has announced her retirement from squash after more than 9 years competing on the professional scene. The 30 year-old, who turned pro in 2007, last played at the US Open in October 2015. Born in Leamington Spa, Beddoes was a consistent and popular face on the PSA World Tour lifting 10 titles from 16 finals. Beddoes’ success extended onto the international scene with the Englishwoman clocking up 25 caps for England and winning a bronze medal in the 2014 Commonwealth Games Women’s Doubles alongside Alison Waters. She also helped England to their seventh World Team Squash Championship title two years ago, beating Malaysia in the final. Announcing her retirement on her athlete Facebook page, Emma commented: “After nearly 9 years, I am announcing my retirement from professional squash. It's hard to know where to begin really but what an absolute pleasure it has been to compete as a professional athlete over that time in the best sport with the best people. “I feel incredibly lucky to have had the career I’ve had, to have travelled the world, stayed in people's houses and made friends with people from all countries and walks of life. Squash is such a unique sport in that way and I hope it never changes. So to anyone who has ever housed me, supported me or played me along the way, I just want to say thank you. “Without a doubt, my best memories are all the team events I have played, and a shout out goes to my partner Alison Waters for that emotional bronze at the Commonwealth. What a week it was winning the World Teams with my England teammates and so many great times playing for Gauteng at the Jarvis Cup (without a doubt the most fun you can have on and off a squash court!). Emma will be embarking on a new career in the summer as Squash and Wellness Director at MetroSquash, the urban squash programme in Chicago. Commenting on her retirement, Chris Robertson, England Squash National Coach, said: "To play for Team England was the pinnacle of Emma's squash career, and as a result, she played with a huge passion, mountains of desire and a fierce determination that forged success at World Team and Commonwealth levels for England. “Whilst this is fantastic in its own right, Emma will also be remembered for being that England competitor who never gave up, who was fair and honest and embodied the values of a real sporting contest. When you can leave those memories behind you, know you've had a successful career."